A thorough and precise tree prune is possible during the dormant season. While the idea of late fall and winter elements may send a wave of dread through many people, your trees have been waiting for it all year. The dormant season is a great opportunity to promote tree health and future tree growth through addressing tree care concerns. 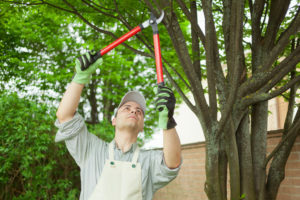 Pruning your trees may be exactly what they need. Here are five reasons why you should prune right now. Pruning trees during the spring and summer might actually promote the spread of diseases due to the warmer climate. Not only does a fall prune make this less likely, it is also much easier to detect the presence of some diseases on a bare tree than on one in the fullness of growth. When leaves have fallen off, it is easier to use tree pruning to direct future tree growth and improve the branching patterns. If you wait until the spring to make these cuts, the potential for blooming may also be limited. Weak or damaged branches can be removed easily during the dormant season. This helps clear the tree of areas that could break off under the heavy weight of winter snow. It also gives the tree a better ability to store nutrients that will be needed in the next growing season. The lack of leaves on a dormant tree makes branches easier to spot and makes pruning more time-efficient than waiting until tree growth obscures these clear views. Colder weather means a harder ground to work on. Professional tree service companies can use proper equipment in this environment to gain an easier access to the trees that need work. This leads to a more efficient process and will save you money! This entry was posted on Friday, October 28th, 2016 at 9:36 am. Both comments and pings are currently closed.